As beauty professionals, we are always on the hunt for high performing products and techniques to leave our clients looking and feeling amazing. 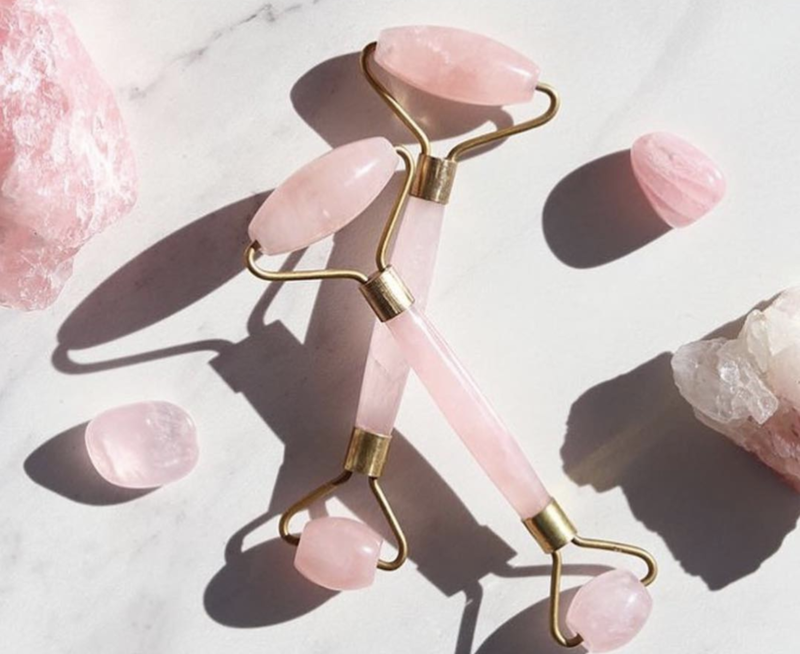 And whilst new beauty trends are continually emerging, some of the best have been around for centuries, such as traditional Chinese Rose Quartz Rollers. Made from semi-precious Rose Quartz stone, this beauty trick can be dated back to the 7th century. Rose Quartz Rollers are made from the luxurious pink crystals, which ease stress from the body and promote self-love. The hype surrounding these products is a reflection of the results and we wanted to find out more. To help us get the answers we need, we recruited Ashleigh Scott, Founder of The Facialist (Boutique beauty salon in Auckland) and one of our favourite holistic beauty brands Tribeca Skin Tonics. Tribeca’s Tonics are made in New Zealand from certified organic ingredients. We love Tribeca’s artisanal range of hand-blended oils and balms, as well as their Rose Quartz Rollers, so who better to ask than Ashleigh Scott. 1. What exactly is a Rose Quartz Roller? A Rose Quartz roller is a massage tool for the skin made from a Rose Quartz crystal. 2. How can we use it? And how often? Firstly apply your serum or moisturiser onto your skin and then use your Rose Quartz Roller on top. Working upwards and outwards, roll backwards and forwards all over the face and neck. You can use the larger end over the entire face and the smaller end for under eyes. You can use as often as you like! We recommend once or twice per day for a couple of minutes at a time. The rollers will stay cold at room temperature, however in summer it’s especially nice to keep your roller in the fridge so it’s extra cold when you use it! Great for relieving puffiness! 3. What benefits will we see from a ‘Roller’ treatment? The roller will help with lymphatic drainage, removing toxins and fluid held in the face and under eyes. It will also help with penetration of skin products, as well as stimulating blood circulation, bringing fresh oxygen and nutrients to the surface of the skin. 4. Which products would you use to compliment a Rose Quartz Roller Treatment? Our Glow or Complexion facial oils pair beautifully with the Rose Quartz roller, however you can use any serum or moisturiser! We now stock these little beauties in store so make sure you check them out when you attend your next booking. You can also head to https://tribecaskin.co.nz to find out more.